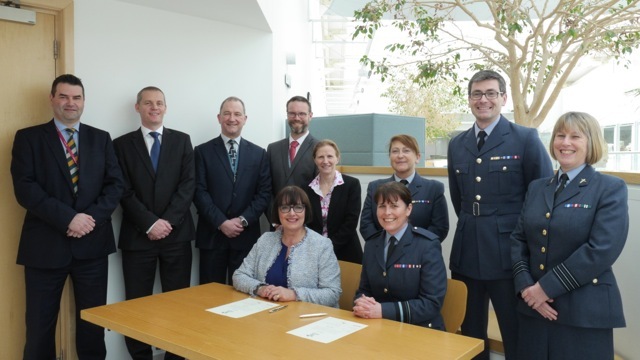 NATS, the UK’s leading provider of air traffic control services, has today signed a formal declaration of support to acknowledge its close co-operation with the Armed Forces community. In addition, NATS has made further commitments to supporting military personnel by ensuring they can participate in key events such as Armed Forces Day, advertising job vacancies amongst the armed forces community and supporting the employment of Services spouses and partners. Ewan Kelbie, Director MOD Capability for NATS, said: “We are very lucky that our control centres in Swanwick, Hampshire and Prestwick in Ayrshire and our corporate office in Whiteley, Fareham are all located in areas of the country with a rich military history and numerous existing military bases. Pictured: Back row (L-R) David Tomlin, Brian Wheeler, Ewan Kelbie, Gary Dixon, Allison Spink, Wing Commander Donna Robinson, Wing Commander Bruce Duncan, Wing Commander Judith Hird. Front row (L-R) Julie Elder, Air Vice Marshal Chris Elliot. 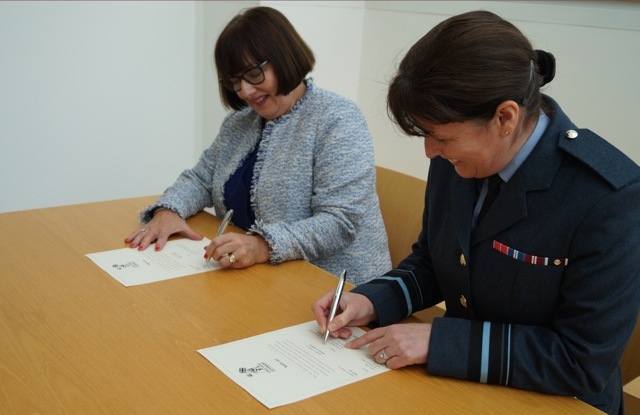 Air Vice Marshal Chris Elliot said: “I am delighted to be signing the Armed Forces Covenant with NATS on behalf of Defence, as it is an important step in further developing the mutually beneficial relationship between ourselves in support of our Armed Forces Community. The UK is a global pioneer of civil and military partnerships in Air Traffic Management and NATS is committed to ensuring that this partnership widens and deepens over the coming years.